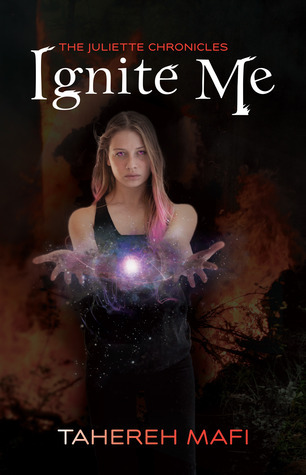 Thanks to the lovely people at Allen and Unwin Australia I have a copy of Ignite Me by Taherah Mafi to give away to one lucky Australian reader. I adored this book and I'm thrilled to be giving someone else the chance to enjoy it as well. If you'd like to hear what I thought about it, here is my review. To enter simply fill out the rafflecopter form and gain as many points as you can. Winners will be chosen on March 17th and contacted by email. Good Luck! The exciting and chilling conclusion to the internationally successful Juliette Chronicles series. With Omega Point destroyed, Juliette doesn’t know if the rebels are alive. But that won’t keep her from trying to take down The Reestablishment once and for all. Now she must rely on Warner, the handsome commander of Sector 45. The one person she never thought she could trust. He promises to help Juliette master her powers and save their dying world … but that’s not all he wants with her. My main tactic for surviving the hunger games would be hiding until everyone else dies. I'm not much of a fighter, and I don't think I could bear killing others. I know it's cowardly, but I would probably hide and wait for everyone else to kill each other. If I had a super power, I'd love to be able to fly. I think it would feel amazing! I would either want Photographic memory so I could ace any test or I would want to be able to teleport so it would be easy to get anywhere. Also walking home wouldn't be such an issue and at lunch I would totally teleport to a cafe! I think teleportation is the most useful one! I don't know what I would do with premonitions, probably be disturbed. Thanks for the giveaway Sunny! Invisibility would be my pick! Invisibility would be pretty nifty. Time travel. Would love one more day with those I've lost. Time travel to have one last hug from those I've lost.